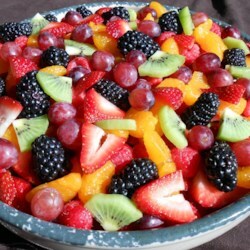 very good way to jazz up a simple fresh fruit salad without making it unhealthy. I added fresh lime juice and lime zest also. I took the advise of another recipe and sprinkled some cinnamon in the sauce.